It’s time for you to be thinking about man’s best friend and the products that will help make your dog’s life more comfortable. 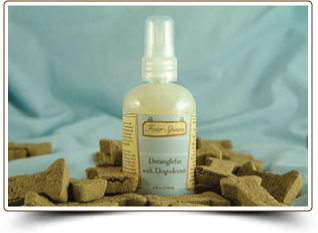 The Four Spaws Dog Grooming line was created with the same love and concern as our body and bath care products and is scented with doggie friendly fragrances. 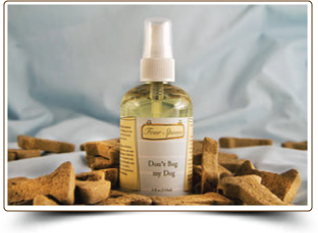 All four products can be purchased in a Dog House Gift Box or individually. 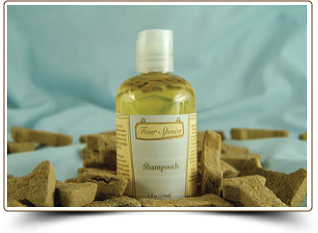 Shampooch – a tearless and moisturizing shampoo. Don’t Bug my Dog! – natural insect repellent spray (does not contain Deet or other pesticides). 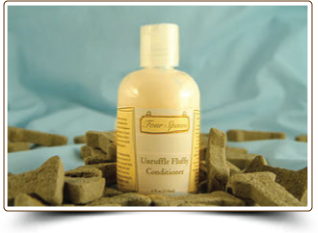 Four Spaws Dog Grooming House – all four products presented in a Gift Box. Great for your favorite pooch or for gift-giving.